The right position in the peloton: a great lesson from Rigo! "Today was another successful day. It was a bit different. There were narrow roads from 136-166 kilometers, and that was the main danger section. After that, which was basically just under 20km to go, the road widened up, and there was bit more clear of a run-in. There were two objectives today – one was to stay safe in that 30km section from the sprint until 20km to go. And then we had a moment to relax, compose, gather together and line up for the final. Obviously there were a lot of crashes. Yesterday every single crash seemed to be right in front of us, and we managed to avoid them but only just. Today we managed to stay clear of most of the incidents. We weren’t caught up in any of them. It was a much better day for us safety-wise. Everyone did a sensational job today. We had clear instructions on how to approach the 30km section and how to approach the final, which side of round-abouts to take and that kind of thing. That information from the directors is vital when you’re barreling into a town at warp speed and need to know which side of the road is more favorable. 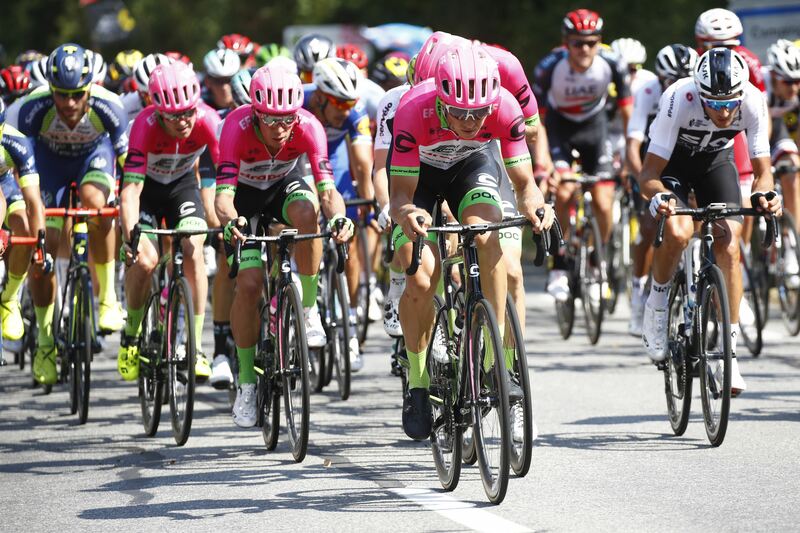 With that kind of information and committed teammates, we really managed to deliver Rigo in a good position safely, which is a huge priority. In one sense today was similar to yesterday, obviously slightly different theme with road widths and wind in the final, but similar approach, same goal and same result. We’re all happy with the outcome, with getting Rigo to the finish unscathed and in the front time. It’s really important not to be obsessed with trying to ride at the front. You can use a lot of energy trying to do that. It’s important to highlight dangerous parts of the stage and focus on being in the right position at those points and then riding in reasonably good position at other points but in a way that’s more energy-conserving. That’s one thing I’ve learnt from Rigo over the year. He’s the king of energy conservation. I’m good at riding at the front but maybe sometimes I burn too much energy. Between the two of us, we’ve found a really good happy medium of saving energy as much as we can and pushing to the front when we need to. It’s worked really well for us so far. Lawson’s day – he had an awesome ride just to get through another day like today with his broken shoulder. It was such a great effort. Things like this are character defining. I truly believe that a person’s character is defined not by what happens to them but how they react and how they bounce back. This is really character-defining for him to show how he bounces back from what has happened. To have his head down and really committing for the team, it says a lot. His main selection for being in this Tour was a key role, his strength in the team time trial tomorrow. 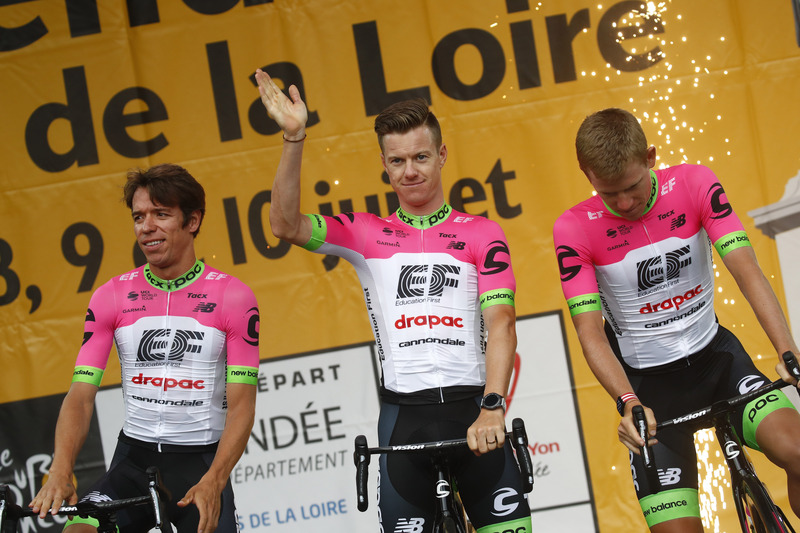 His goal today was to get through today’s stage so that he can be available tomorrow to ride for the TTT. We need to assess how he can go on the time trial bike with his shoulder, but he’s achieved the first goal of getting through the stage and giving us the option to allow him to contribute to tomorrow’s team time trial. Apart from that, all the boys are safe. No one else has crashed. 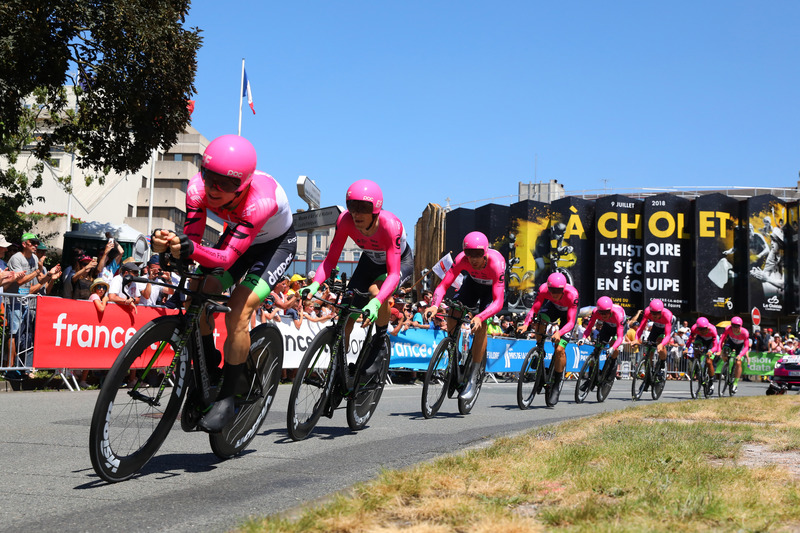 We have seven healthy, strong guys for the team time trial, and we’re really looking forward to showcasing on the road the work we’ve done in the TTT – as an entire organization, not just the riders – to try to raise the bar there and produce a competitive performance. I’m sure Lawson will contribute in some way shape or form, whether he rides the whole race or commits to the early part of the race, we’re not sure yet, but he’ll find a way to be a part of it, and we all recognize that’s a special achievement in itself."